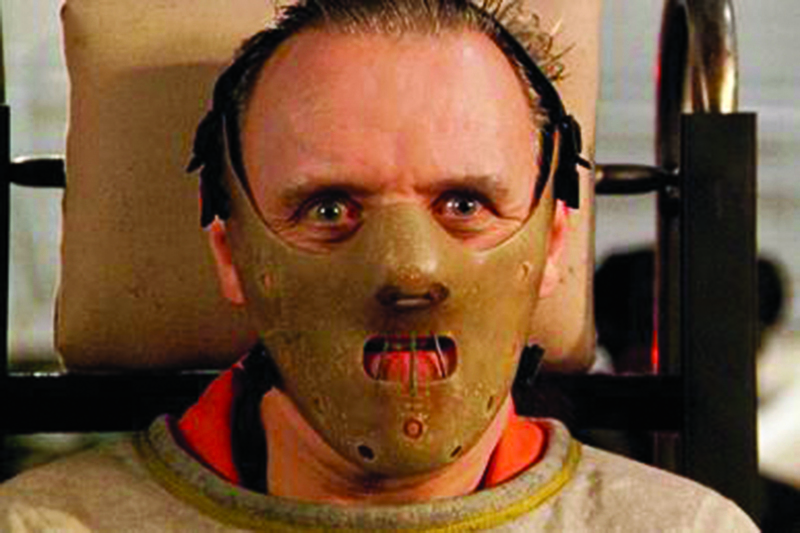 There is a scene near the beginning of Silence of the Lambs in which Clarice Starling executes a well-aimed jab at Hannibal Lecter. Last week, this duelling between a wide-eyed young FBI agent and cannibalistic serial killer came to mind as I interviewed people about their New Year’s resolutions (see pages 6 and 7). One of the interviewees reversed roles, asking me about my resolutions. Actually, I was probably thinking this: I’m asking the questions here, ma’am. Can I be in charge for a while? Well, at least I didn’t make any liver and Chianti quips. Still, I should have done better than a cannibal, so here goes … my belated attempt to point my perception, high-powered or otherwise, at myself and answer The Question. First off, however, a confession: the assignment proved so much tougher than I anticipated. For every resolution I stumbled against a counter-resolution that was equally persuasive, leaving me in a schizophrenic condition of virtual paralysis – as in the need to save versus the need to be more generous. I also found myself veering between the introspective and ridiculous. One moment I was contemplating metaphysics and man’s quest for happiness, the next the number of follicles on my dome. A further complication was that I was forced to confront my defects. By the time I reached #20 my self-esteem had dropped below my ankles. I had become the Patron Saint of Inadequacy. Year of the Marcus: When I was younger, so much younger than today, I would make the same proclamation every January 1, “this will be My Year.” And so I will reignite this once-beloved-by-me tradition. Aspirational? Short on specifics? Self-delusional? Self-absorbed? Meaningless? Stupid? Yes, yes, yes, yes, yes. And yes. I will say it again: 2019 will be my breakthrough year as someone whose genius was only recognized by his mum. I will do something amazing, something extraordinary, something that will make the world take notice and gasp … or … or … or … maybe I’ll roll this resolution into 2020. Anti-lookism campaign: Ah, here’s a subject close to my head. Take time to inspect the shine on my dome in the picture. Feel free to weep. Call it paranoia, but I’ve long suspected baldies suffer discrimination – jobs, dates, being served first in a bar. You name it, we are subjected to lookism. I wouldn’t stand a chance of becoming US President. JFK, Nixon, Carter, Reagan, Bush Sr., Clinton, Dubya, Obama – all were well-thatched. Ford doesn’t count because he was never elected. As for Trump, well who knows what squats atop his pate. When I started thinning in my teens, I noticed how eyes would forever gleefully rove my receding hairline. “Marcus, you’re going bald,” were the words I dreaded most, yet kept hearing. Nowadays I wear a cap to thwart lookists. Of course, I could do what every other victim of male-pattern baldness has been doing since the ‘90s: take a razor to my skull and clear the comb-over hurdle. My fear, however, is that I’ll resemble a white supremacist or something from a horror movie. Anyway, isn’t it time to give lookism the big brush-off? Tattoo or earrings? : the Worzel Gummidge, scarecrow image may have passed muster in the grunge era, but not today. I should make 2019 the Year of the Marcus Makeover. A Mike Tyson tribal tattoo? Nah, that’s too in-yer-face, don’t you think? I can’t convincingly label myself the “baddest man on the planet,”, but maybe I could get away with a forearm tattoo. Or am I too old? Would a dove metamorphosize into a buzzard as my skin begins to sag? These are serious considerations. Other enhancement possibilities are earrings, hoodies or a cowboy getup. I should consult Pastor Ross Pollock about Western duds. Be more like Kanye West: I’ve been digging this man’s style for months, feeding his rap, energy and confidence into my shrivelled English soul without noticeable difference. Stop trying to be someone I’m not: see above. Say it loud, I’m shrivelled and I’m proud. Thank you, James Brown. Getting up earlier: this resolution seems so achievable in the evening, so impossible in the morning. I need to trick my body, but how? Coming to terms with a two-thirds-life crisis: I was brought up to believe that the compensation for age and decrepitude was power. By now I should be bestriding the globe like a colossus, making fate and fellow humans bend to my will. My name should be prefixed by words like tycoon, magnate, billionaire or president. So what happened? Where the nuclear button waiting for my itchy finger? Where the $60,000 weave? Where the sycophants nodding at my every word? Being an ageing, balding thousandaire journalist with a Ford Fiesta seems somehow short of the mark, yet, well, hang it all, it’s reality, and I must accept it. So I will. With grace and immense gratitude. Weaves, sycophants and nuclear buttons are overrated anyway. As I read over my outpourings, I find myself wanting to scream. Am I going mad? I’ve taken this New Year’s resolutions thingummy waaaaaaay too seriously. Before I submit myself to psychiatric evaluation and clinical testing for Hannibal Lecter symptoms, I’ll make my final resolution. Don’t over-think: Always look on the silly side of life. And don’t forget to whistle when you’re chewing life’s gristle.